You are sure to get embarrassed when your tiny toddler gives a display of some very unruly and disrespectful behavior towards you for some reason, and especially in front of someone. Aggression in the little kids is natural and also at times gets lashed out by them without a warning. This does not mean that your little angel is not lovable; His endearing smile and charming ways melt your heart and give you a high when you are bogged down, no doubt on that. However toddlers are subjected to many mood swings and you never know which one would be displayed next. What is more painful is the fact that the hurt which they cause you when they are in their cranky phases is completely unintentional, hence you cannot hold a grudge against them, but because they are completely unaware of causing hurt to you does not exempt them to mind themselves and keep their behaviors in check. As a parent, here is what you could do when your toddler is giving you a hard time. Often when you are asking your toddler to do something and he screams out a loud and irreverent NO to you especially in front of others, it is sure to drive you crazy and infuriate your mind. However, in such situations it is all the more important to keep your cool. Do not indulge in dramatic and angry outbursts of temper yourself as this would prove you to be the weaker person. Also there are chances that the toddler would become all the more unruly with this kind of treatment and might show an even worse behavior towards you as his sensibility level is definitely lower than yours. This is the most important point which you must always check before jumping to any conclusions. 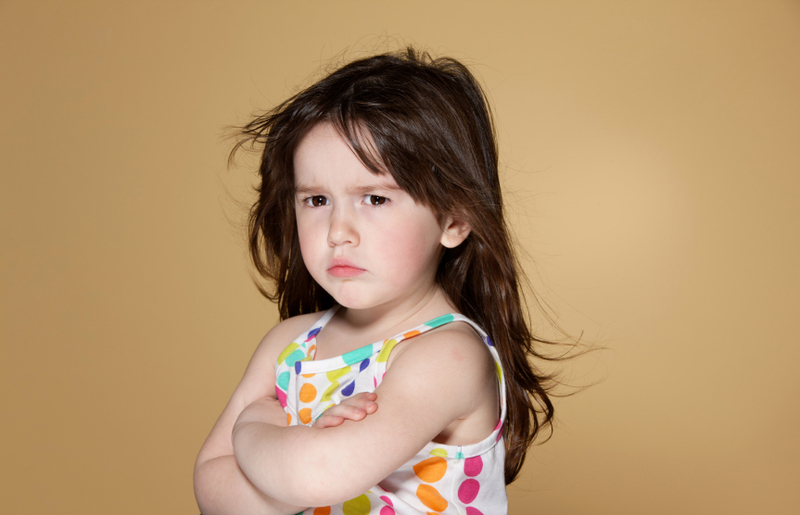 It is very easy and quite common for parents to label their little ones as ill mannered or bad tempered, however it is imperative to find out what is actually making your toddler behave in such manner. Is he having a poor digestive system and painful bowel movement? Or are his gums giving him trouble? Does he get bullied by some of the children in the family or has he not had proper meals since last night? Try to figure out these issues by being a hands on parent. SEE ALSO: Why Does Childcare Work for Busy Mums? Now, this is most frequent if you are a mother! Women have an innate nature to feel guilty about whatever wrong is happening in their surroundings without even caring whether they actually are responsible for that or not. When your child shouts angrily or is cranky and his misbehavior is getting out of hands, then you tend to feel that you might have gone wrong throughout the day in some way which is making your child behave like this. Or even worse if you do not get enough respect in the house, then you feel it is okay for your child to treat you disrespectfully because this is what he witnesses in the house. Please kill these self destructive tendencies as this would neither serve you nor your child in a healthy way. There is obviously no reason for you to shout and scream on top of your lungs along with your toddler if he is engaging into unruly behavior towards you. But there is also no need whatsoever for you to succumb to his unreasonable demands and ill behavior. Make a stern face, with a threatening expression in the eye and make your actions stiff enough for him to understand that he is doing something which is egregious and absolutely uncalled for. If you think your child is sensitive, do not speak to him for a couple of hours after the verbal spat to make him realize that he should not repeat such behavior. Always take your toddler to weekly health check - ups to make sure there is no disease or disorder breeding in the body of your child which is making his moods and temper to fluctuate so much. Sometimes, in cases where the baby is diabetic by birth or has some problem in his cardiac health or blood pressure levels, he or she grows up to be either an overly introvert child or excessively cranky and short tempered. So it is better that you keep getting these checks from time to time. You could find physical ways of giving an outlet to the anger of your child. Let him see how fun it is to hit the bean bag or punch the de - stressing ball whenever anger strikes. Or start making animal noises and also encourage him to do so whenever he is feeling flamed up about something. Try telling him in a subtle way that whenever the anger emotion sets in, go to the punching bag and hit as hard as you can. Excessive exposure to television or video games where competitive fights are being show round the clock could sabotage the thinking of the child and would make him naturally turn to violence and disrespect as an answer o all his issues. Make sure you have soft music playing in the house and paintings giving the message of love and playfulness. Make him watch the cartoons which feed his fantasies and not aggravate him all the more to try those tactics on those around him. Michael Marchetta is a blogger for Loveandlogic.com He likes to contribute his knowledge on Family and parenting issues and their solutions.